The Dolphins are soon expected to choose one of two sites for a new training complex after the Miami-Dade County Commission voted Tuesday to subsidize a move to suburban Miami Gardens. Commissioners voted in support of a proposed site next to the Dolphins’ stadium in north Miami-Dade County. The Dolphins are also considering a site in Miramar, a suburb of Fort Lauderdale in Broward County. 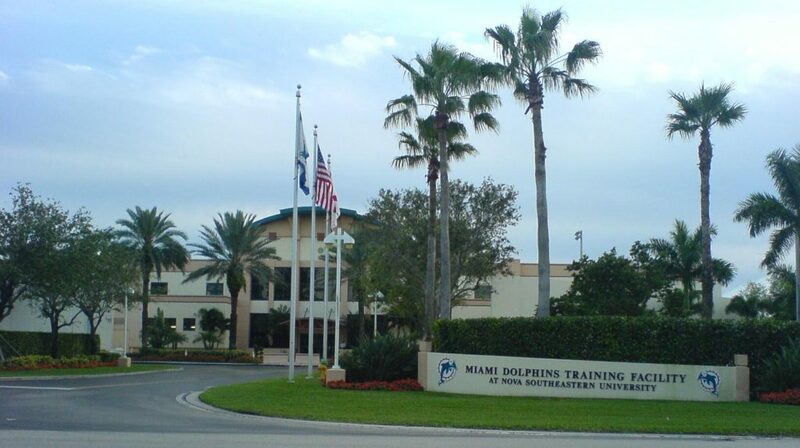 The Dolphins’ training headquarters have been at Nova University in Broward since 1993. The team wants to build a larger complex expected to cost up to $75 million. Construction would be privately financed. But the county commission voted to increase by more than $50 million the maximum amount of tax money the Dolphins receive for large sporting events held at their stadium over the next several decades, with the higher subsidies contingent on the complex being built in Miami-Dade. Pro Football Hall of Fame quarterback Dan Marino was among the Dolphins officials on hand for the commission vote. A decision by the Dolphins regarding relocation is expected soon. The new complex is projected to open before the start of the 2020 season.